The result of over a decade of research into the 1792 Militia Act and its effect on how the war of 1812 was fought. I can state you will learn things you will never read in mainstream histories of this war. A War that stretched the whole length of the United States at that time. It involved Great Britain, the major indian nations, Spain, and yes, even France. For us today it is a forgotten war, but for Americans at that time it was their World War. My interview with The History Author Show. Over 90 Black and white images of battle fields, depictions of specific engagements and portraits of the generals, politicians and even chiefs who led the combatants. Battles from the shores of Lake Champlain in New York to what should be called the "Siege of New Orleans" in Louisiana. ​Some historians have suggested that the War of 1812 needs to be renamed and one name that comes forward is "The North American campaigns of the Napoleonic Wars". My new book is thus titled to point out how a nation that prided itself on its farmer riflemen winning the revolution, found itself with far fewer rifles then it expected during this conflict. Not because people didn't want a rifle, far from it: you will read of the men who turned down a low cost Federal musket to pay more money for a rifle. It was the 1792 militia Acts requirements that forced men to buy a smoothbore musket that they had little use for or want. You will read of the efforts Congress went to to put these smoothbore muskets in the hands of the men of the militia, to even starting a program were the Government gave the men a gun if they served for two years in a Federal militia. You will even read of the first US Military Draft were men were also being asked to volunteer, and if they did, were being offered extra money to bring their own firearm. 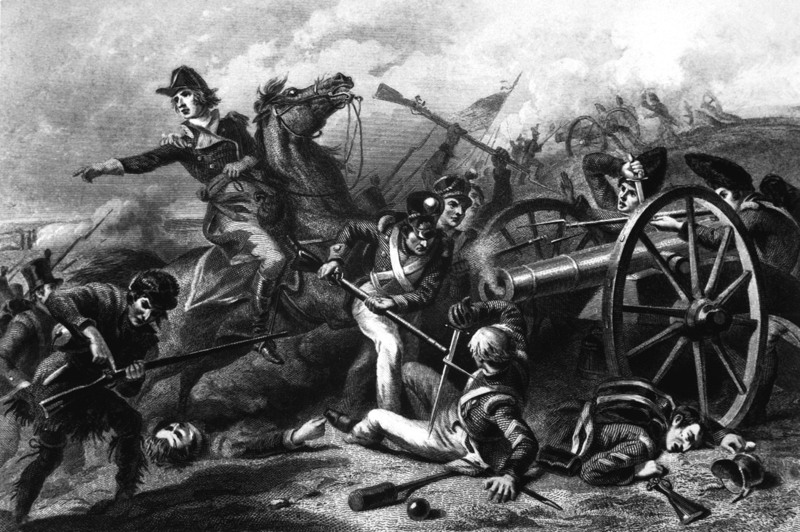 All because, in this war, the United States government nearly ran out of smoothbore muskets for the Army. Five Stars August 16, 2015 my husband loves this book! My best book to date on the US Nuclear Arsenal. Its over two decades old and yet newer books are still compared to it. Granted there are those who asked why I didn't cover the development of the individual warheads as the late Chuck Hansen had done. But then again, why should I just be copying the work of another author. My goal was to talk of the delivery systems that Hansen only mentions briefly, leaving the nuts and bolts about the warheads to him. If you want to learn about the creation of a specific warhead you need Hanson's book. If you want to learn about the missile's the warheads were deployed in, you need my book. It covers every nuclear weapon the United States has ever officially deployed. Some would say I exceeded that with the sections on such missiles as the Nike Zeus and the Spartan, but these missiles were in either a form of operational service, or stockpiled for rapid deployment for many years. But again the goal was the description of over 100 nuclear bombs, mines, torpedos, projectiles, and missiles; plus the carrying submarines and aircraft. As many of the systems as possible depicted in color images, including test launch photos. 236 pages in 8.5X11 format. As one reviewer stated he had never seen a tabletop size reference on nuclear weapons. A re-printing was done in 2004, original printing in 1996. I hope to soon be in a position to produce a second edition. In the two decades since I finished this book, new information has been released on several older weapons, plus many new color pictures. ​Available from Amazon and Barnes & Noble. The only book to even remotely cover the Top Secret Navaho project. Though it was superseded by the Atlas, the technology this program developed was essential for the creation of that ICBM, made possible the Polaris missile system and played a major technology role in the later Moon program. Since the book came out, even more material has come into my custody on this project. But before I can make a major 2nd edition I need to sell some more copies. 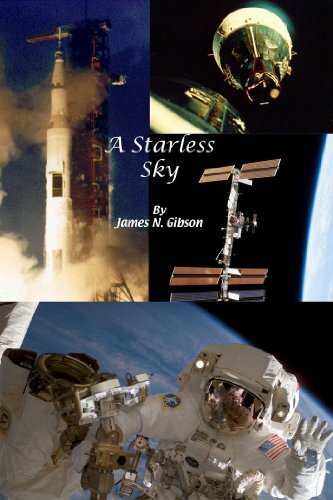 I saw a copy of this book at the Friends of Amateur Rocketry meeting at the SRTF (Small Rocket Test Facility) in Mojave,Ca., looked for it on Amazon, found it, and ordered it immediately. I went to work at North American Aviation on the Navaho project in Downey, Ca. in 1955, It was my first job out of college. This great little book brings back some fond (and sometimes scary) memories. I worked on the guidance system and navigation control computer and was present at several of the launch attempts at the cape. I remember the launch where the kerosine tank failed to disconnect as well as the one where the engines shut down when the umbilical detached and the missile fell back on the launch pad. It was the early days of rocketry and the dawn of the space age. This marvelous little book captures it quite well. Kudos to the author and all the work that went into creating this marvelous bit of history. My father worked on the X10 part of the project and I just wish he was still around to see this book. A Customer November 8, 2013 Excellent book about Navaho!! 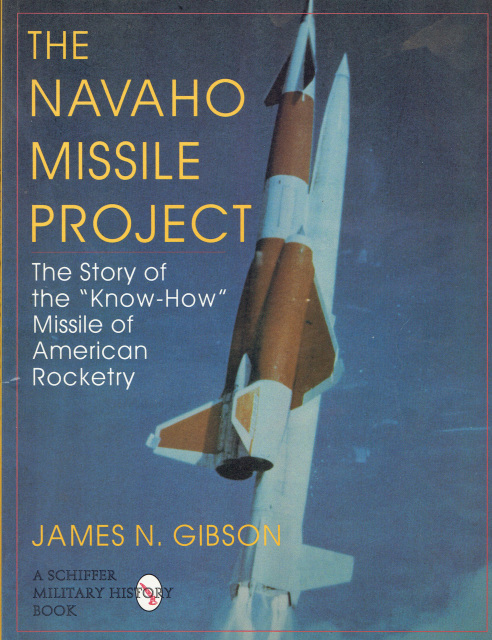 very good conditions and describes various components of Navaho.The book also looks at concurrent missile programs of the 1950s. Invaluable to space historians and scale modelers July 31, 1998 This book has superb coverage of this now little-known but extremely important project. It is jammed with color and B&W photographs, diagrams and drawings, and facts. The book also looks at concurrent missile programs of the 1950s, such as the Snark, Atlas, and Redstone. I was born to the Space program and know more about the history of the American Space program then many NASA historians. After my father's death, I wanted to just assemble an image book, nothing but the pictures that made such an impression on me during the 1960s and early 70s. In simple terms, the images of Mercury, Gemini and then the Apollo moon landings. After that I threw in images of my father's Space Shuttle, which I eventually supported in its final years, and the Space Station which was the first program I worked on as an engineer. Not many words in this book, the pictures do all the talking. Unfortunately, only available as an eBook from Barnes and Noble and Amazon. You can call this my blog in book form. This covers several subjects: The Moon landing Hoax crowd, the Kennedy Conspiracy, Dark Star, etc. My take on everything these pieces of modern folklore deliberately miss/ignor just because the proponents don't want to recognize them. A short book that describes many of the problems this company had before it failed. Worth reading if your interested in whats wrong with the Green energy movement. Yes, I don't believe in Global warming. A look at the rifle regiments the United States had from 1805 to 1821. Few people know that for many years the United States had only one regiment of riflemen.